About 1,000 people have besieged the American Military Base in Sicily demanding America get out with its huge antenna there. The protest began claiming this spy satellite is harmful to the health of the people. The police were called in to intervene and had to tear gas the protesters. 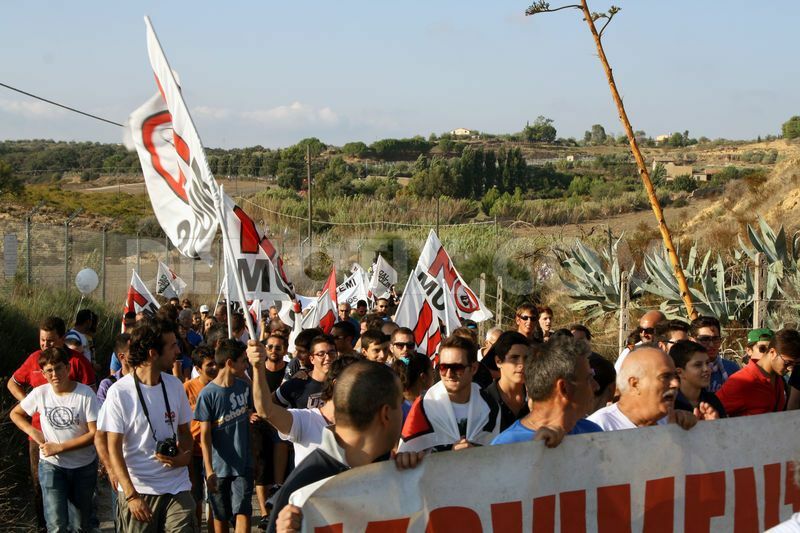 Several 100 demonstrators stormed a U.S. military base in Sicily as the protest began to broaden in its grievances. The United States is being seen increasingly as causing the global economic depression thanks to the New York Banks who everyone is calling the “Untouchables” outside the USA. This has been brewing beneath the surface throughout Europe. The revelations of the NSA since June have cast the United States in the same light as the Nazi of Germany who also hunted money of Germans outside of their country. President Obama was asked directly at a news conference on Aug 9th Friday whether Snowden was a Patriot. He said no. He then claimed he should have told people in the government and Obama now admits that perhaps the surveillance may have gone too far and he would have conducted a review where the same information would have been revealed. If that is the case, then Snowden is a Patriot. You cannot claim on one hand you would have revealed the same information and then call him a traitor. In Greece, unemployment among the youth just hit 65%! At what level does Revolution come about? These politicians cannot see that they are destroying society with their antiquated policies and they have no concept how the next generation will survive. Even in the USA, kids graduating college who cannot find work in their field has hit 60% (see Forbes). They are saddled with student loans for an education that fails to prepare them for the real world. A piece of paper in basket-weaving is sufficient. When will our politicians open their eyes and see that the trend we are headed into is a dark abyss from which there may be world war and huge unrest all because they are married to antiquated economic theories that support their egos and power. It ain’t working!